While not a huge fan of non-combat pets in general, I have to admit that I kind of like the new Gannifari. I've long held the opinion that the akk dog models in the game look more cute than fierce, and kind of wanted one as a pet ever since I saw a guildie pick one up as a temporary fighting companion in Colicoid War Game. In fact, I was thinking of saving up warzone commendations to buy a Lawgriffarl once I had all the gear I needed, as it looks like it should be using the same model. Now I might not have to, as the Gannifari does the job quite nicely - even if it's just another "have this as a random gift, everyone" kind of pet. I'm sure it wasn't a relative, little one... don't look at me like that! It's kind of like having the Onyxian Whelping out while running through Upper Blackrock Spire or the Corehound Pup during Violet Hold. 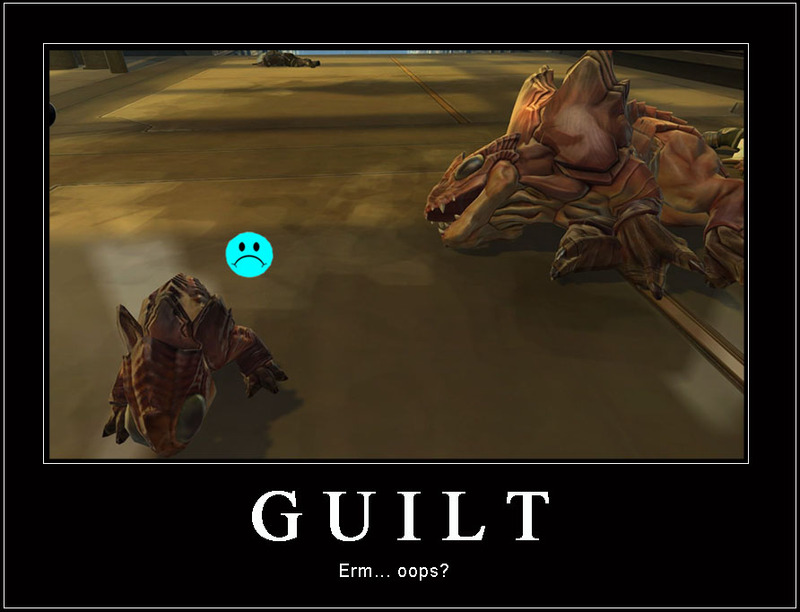 I want a Nexu-kitten - ever since doing that quest on Taris where you free the little buggers from their cages. I wouldn't say no to one of these... but the akk puppy would still win out.